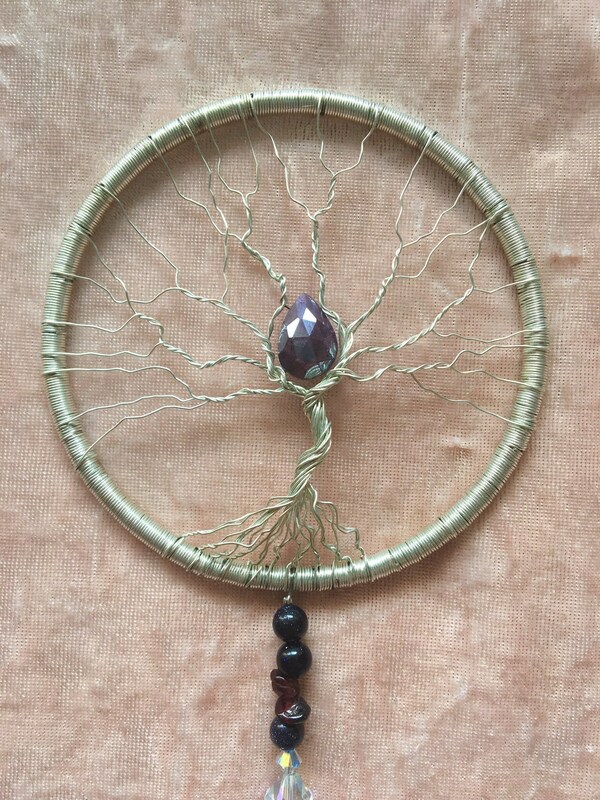 Fill your home with rainbows with this elegant sun catcher! 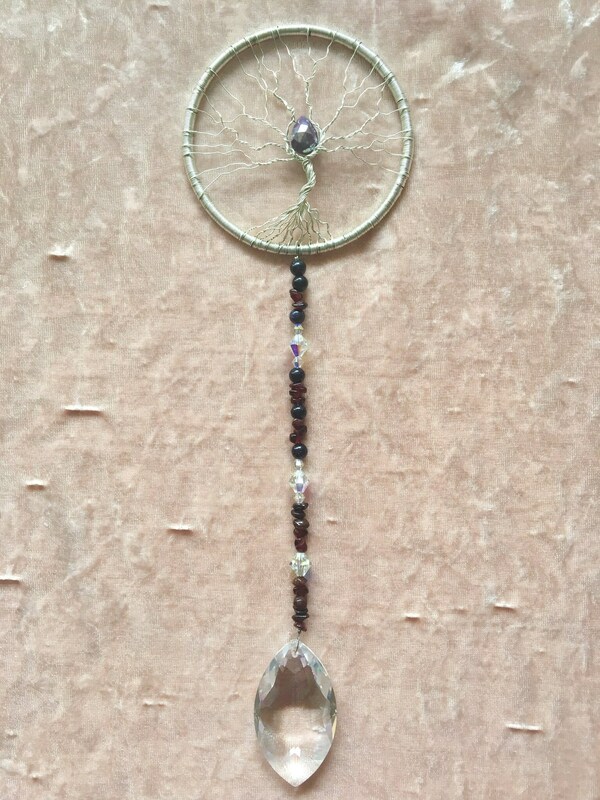 A silver colored copper tree with a flashy Rainbow Moonstone sits above Blue Goldstone, Garnet, and Swarovski beads. A huge Faceted Swarovski pendant rests at the bottom, sending light in all directions. 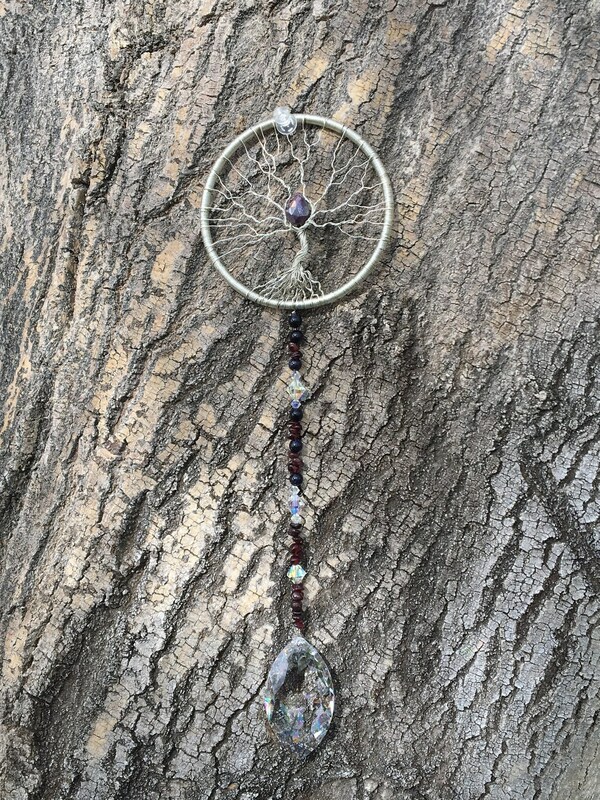 If you would like a custom sun catcher, we can make them with just about any stones! Message us for more details, we love making custom pieces!